“I feel like a supermodel, except like times 10,” candidate (and now president-elect) Trump said back in June, apparently impressed with his numerous magazine covers. “It’s not about me … I’m doing a good job as a messenger.” His self-assessment isn’t far off. Trump’s “messages” have referenced violence and sexual assault, labeled entire ethnic groups as criminals and ostracized individuals due to their religious beliefs. And they may be having an impact: In the days after last week’s election, students, teachers and parents reported an alarming degree of bullying in our schools. For this reason, our future supermodel in chief needs to get serious about the alarming messages his words and actions have already sent to our nation’s children. Bullying is not a new concern for educators, but the specific way in which it has been playing out represents what happens when previously unacceptable behavior is modeled by an authority figure, and then not only tolerated, but rewarded. Middle school children in Michigan chanted “Build the wall!” in the cafeteria. Hispanic kindergartners in Utah were taunted by classmates that they were going to be deported. According to the Southern Poverty Law Center, the most commonly reported location, post-election, for harassment and intimidation since election day has been K-12 schools. Even before the election, our country’s second-largest school district, Los Angeles Unified, reported an array of Trump-aligned bullying, from weight-shaming girls to mocking special education students to accusing hijab-wearing teachers of being terrorists. School board president Steve Zimmer said he was concerned with how such talk is absorbed by children. But we already know how. 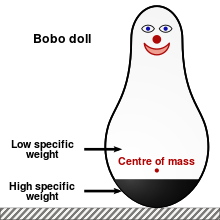 Anyone who has taken an introductory psychology course just has to remember the Bobo doll to connect the dots. More than 50 years ago, a classic and influential psychology experiment, conducted by Albert Bandura of Stanford University, showed us the relationship between observational learning (i.e., watching and imitating others) and aggression via adults and children. In the “Bobo doll” experiment, some of the children watched an adult engaging in non-aggressive play (e.g., creating structures with Tinkertoys); others observed the adult aggressively attacking an air-filled clown toy, both physically (kicks, beatings) and verbally (hostile remarks). After, the children were left in a room with “aggressive” and “nonaggressive” toys and were given time to play. Children exposed to the aggressive-adult model mirrored much of the same aggressive behavior with the Bobo doll they had just witnessed (e.g., pummeling it with a hammer) and were more likely to play with other aggressive toys (like guns). Moreover, when the adult’s violence was rewarded, children were even more likely to imitate the violence they had seen. Now consider who America has rewarded with the highest office in the land: a man who modeled a consistent, vocal and very public pattern of stereotyping classes of people, belittling others and threatening opponents. And add this: Research has shown that when the person modeling the behavior is in a position of authority, admired or of a higher social status — or when circumstances are confusing or ambiguous — that the individual’s behavior is more likely to be replicated. Welcome to an ideal scenario for confused kids coping with societal changes and looking for answers from influential figures. They learn by watching. And as Trump’s behavior continues to be broadcast far and wide, it will be constantly observed, will be implicitly rewarded through media time and will have ample opportunity for diffusion. Like this classic commercial, taunting, harassing and bullying will have ideal conditions to spread from one person to another … and so on and so on and so on. Trump’s behavior, which I previously described as an outlier to normal social emotional relations, has been normalized and, intentionally or not, endorsed by American voters. Observational learning is not simply child’s play. Adults, too, can learn this way, replicate what they see and reinforce the lessons. Teachers on the front lines are in the unenviable position of trying to teach while maintaining a civil and safe environment. In some schools this may be challenging under typical conditions. In our current situation, it is even more difficult. None of this is without psychological, physical and cognitive consequence for students trying to cope with harassment, or even the perception that they may be victimized. As teachers and principals attempt to mitigate Trump-inspired bullying by modeling and expecting inclusivity and empathy, we must demand explicit, unequivocal and newly socially appropriate modeling from our president-elect. Time to walk the catwalk you created, Trump. Be the supermodel and role model kids need. You better work. 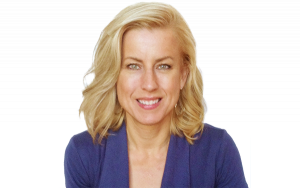 Allison Crean Davis is a senior adviser at Bellwether Education Partners, focusing on issues related to evaluation and planning, predictive analytics, extended learning opportunities, and Native American education.